Kuwait, March 15, 2011: For the first time ever, Toys “R” Us – the world’s favourite toy retailer is offering customers fantastic discounts of up to 50% off thousands of quality toys starting March 15. 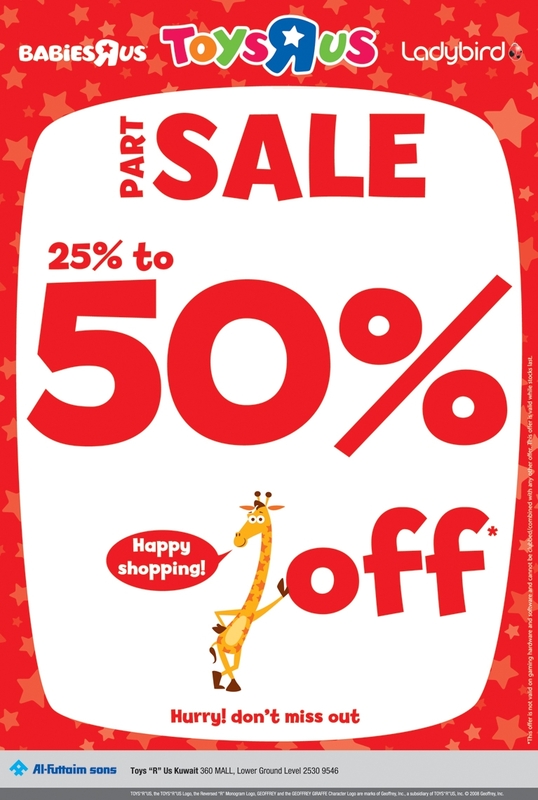 This exciting offer extends to a wide range of baby products from Babies “R” Us at Toys “R” Us and stylish quality clothing for kids (up to 8 years) from Ladybird. The Toys “R” Us store is located at 360 MALL on the lower ground level in 360 MALL and is open from 10am to 10pm Sunday to Wednesday and from 10am to 11pm Thursday to Saturday. For more information, customers can call the Toys “R” Us store on +965 2530 9546.